This is a recipe that I tried out for the dialysis patients that I work with. This was taken directly from the davita website, www.davita.com It is lower in phosphorus than a quesadilla and is also a lower potassium choice. It’s really simple to make. You could also use tomato or spinach tortillas for yourself (I did not due to their higher potassium content which would not be appropriate for this specific patient population). Combine green chiles, spices and green onions in a bowl. Blend in softened cream cheese. 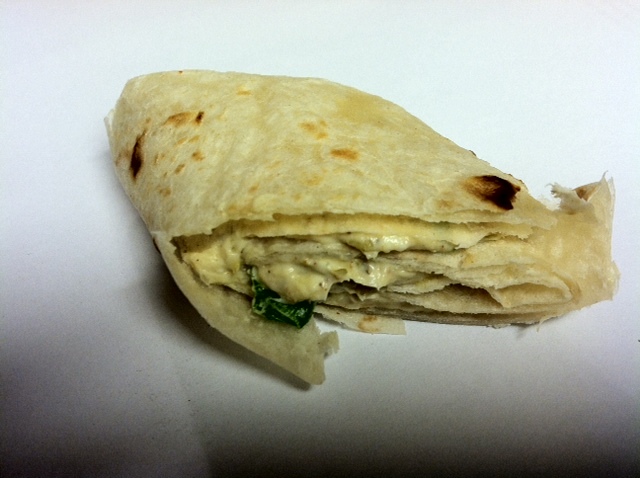 Spread thin layer of cream cheese mixture on each tortilla, leaving 1/4″ edge uncovered. Roll tortillas up like a jelly roll. Use toothpick to secure rolls.